Published: June 7, 2016 at 02:23 p.m. Updated: Nov. 8, 2016 at 11:05 a.m.
With voters heading to the polls on Election Day, College Football 24/7 is taking a look at 15 college football players who could run for president one day. Each player listed below stands out in the area of leadership and shows the traits that could lead them to the White House. Five former presidents played college football -- Gerald Ford (Michigan), Dwight Eisenhower (Army), John Kennedy (Harvard), Richard Nixon (Whittier College) and Ronald Reagan (Eureka College). Perhaps one of these players will one day join that club. McCartney donated bone marrow to a cancer patient this spring and earned his degree in integrative physiology in three years. 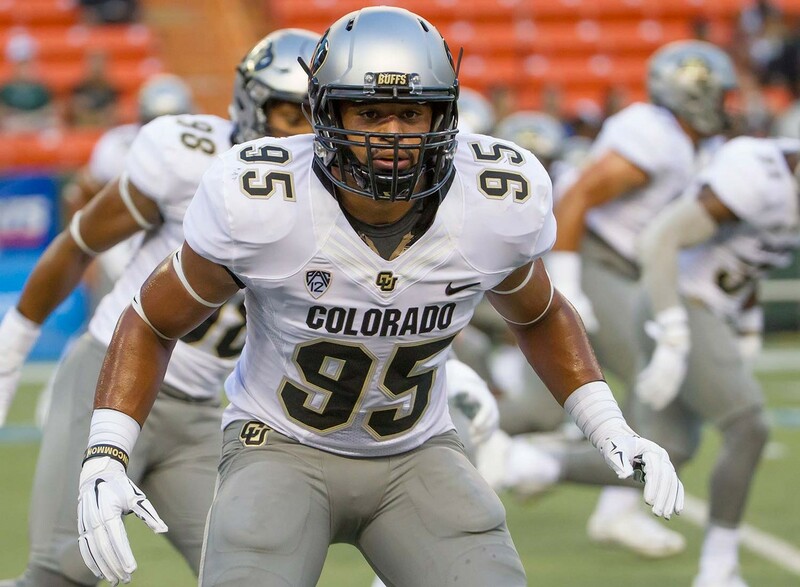 "He's an exceptional young man," Colorado coach Mike MacIntyre said. "He's going to get his master's before he's gone in two years and he's an excellent leader on our team." Unfortunately, McCartney suffered a season-ending knee injury in September. It was a setback in his football career, but there's no doubt that his future is bright. Wolf, a first-team Academic All-American in 2015, is majoring in public policy studies and pursuing a certificate in markets and management. He had a GPA of 3.68 as of last December and is a three-time ACC Academic Honor Roll selection. He comes from Ivy League stock -- his dad, August, set Princeton University and Ivy League records in the shot put and placed fourth in the shot put at the 1984 Olympics in Los Angeles. Kalu was honored with a spot on the Brooks Berringer and Tom Osborne citizenship teams in 2015 and 2016 for his outstanding work off the field. The starting cornerback, a nutrition science major, was an Academic All-Big Ten selection in 2015. And when the going gets tough, as it did for Nebraska in a blowout loss to Ohio State on Saturday, Kalu is there to offer an inspirational message. Lloyd, a fifth-year senior, spent two years on a Mormon mission before he began his college career. He arrived at Stanford in 2012 as a quarterback, but with Kevin Hogan entrenched at the position, he moved to safety before last season. A science, technology and society major, Lloyd was named to the Pac-12 All-Academic second team in 2015. He’s an Eagle Scout who was inducted into the National Honor Society in high school. Covington, a member of the 49ers' inaugural recruiting class in 2012, has presidential experience --he served as vice president (2014-15) and president (2015-16) of the school’s student-athlete advisory committee. He also serves as the student-athlete representative to the school’s student government. Covington helped form the Student-Athlete Ambassador program, which connects younger athletes with upperclassmen for mentorship. He presented details of the program at a conference this year. "It was an awesome experience being able to share with the NCAA and schools all over the nation about being the first ever Student Athlete Ambassador Program," Covington said. "We were able to create that program from scratch, and we were able to share the awesome impact that it is having on our student athletes. There are awesome things going on in Charlotte, and we are setting the foundation for leaders and creating a legacy that will last forever." Haines built his own personal grass-roots campaign, of sorts. The fifth-year senior began his career as a walk-on. He was placed on scholarship before the 2014 season and became a starter that year. Haines, an economics major, is a four-time member of the Big 12 Commissioner’s Honor Roll. Screws was one of 22 football players selected as a member of the Allstate AFCA Good Works Team last year, an honor that goes to athletes who perform inspirational acts of service. Based on the list of causes he’s involved with, it's hard to think of a more deserving honoree. He's gone on mission trips for the past five summers to Tanzania to help natives improve their quality of life. Screws, who's a biology major, had a 3.99 GPA as of last fall. No school has produced more presidents than Harvard (7), so it's only fitting that the school has a representative on this list. Who better than Ahern, who was named Harvard's 143rd team captain after last season. Plus, the two-time first-team All-Ivy League selection majors in government. Worth stands out as a leader on a team full of players with tremendous ability in that area. He has a 3.5 GPA in ocean engineering and finished No. 1 in his class during military summer training that all midshipmen must go through, per a school spokesperson. That leadership was on display over the weekend, when Worth led Navy to a win over Notre Dame. Dobbs is an aerospace engineering major who was among 59 student-athletes on the 2015 Fall SEC Academic Honor Roll. "I like challenging myself," Dobbs told ESPN in March. "I've always been big into finding something that pushes me to have to work hard and challenges the way I think, challenges me to think in a different way or think harder and work harder. This definitely does do that.” That’s the type of thinking we could use more of in Washington D.C.
Robinson decided to give up football this summer due to concussions, but he's certainly deserving of a spot on this list. The son of Hall of Fame hoops legend David Robinson, is no stranger to elections -- he took office as Notre Dame student body president in April. During fall semester last year, he took 18 credit hours, wrote a senior thesis, started a non-profit and served as vice president of the Notre Dame Student-Athlete Advisory Council, according to CBS Sports. "He's a natural born leader," David Robinson told CBS. "Even as he came in as a freshman, I remember guys on the team saying, 'When Corey comes in the locker room, he's like a light.' That's something strong for a Division I teammate to say about a freshman." Here's a name that would pop on any ballot. Steelhammer, a senior, was on the cadet leadership cadre this summer for survival training, where he was responsible for a group of cadets that train other cadets, per a school spokesperson. King is the first person from his high school (Flushing, N.Y.) to attend West Point. He said last year that he had thought about serving his country since watching his father (Rhonny), who was New York Police Department sergeant who was a first responder on 9/11, work 12-hour shifts for two months in the wake of the attack. He has served as a platoon leader and honor officer. King, who has a chance to lead the team in tackles for loss for the second year in a row, told USports he wants to attend law school after a tour of infantry duty following his graduation in the spring of 2017. Garrett, one of the best players and most freakish athletes in college football, is also one of the most interesting players in CFB. He writes poetry in his spare time. As for his post-football-career plans? "I want to be a paleontologist, whether it's amateur or professional," he told Sports Illustrated last year. "And I want to be a humanitarian. I want to go around the world just helping people." Garrett has the individuality to separate himself from the rest of the political pack. McCaffrey, last season's Heisman runner-up, gets it done on the field and in the classroom. He broke Barry Sanders' record for single-season all-purpose yards, and was a first-team Academic All-American a year ago. Stanford’s team captains selected McCaffrey to carry the American flag onto the field last season, an honor that hadn’t been bestowed on a sophomore since the tradition began several years ago, according to ESPN. Conner has an inspirational story to tell, as it was announced in the summer that he was cancer-free after a battle with Hodgkin lymphoma. He's having an excellent 2016 season, leading the team in rushing (712 yards), and scoring a TD in all but one game. He also gives back to his community, and has been honored for his volunteer work.